We all have thoughts and ideas that we forget because we don't write them down, or record them in some way. Evernote is a product that helps you in this area. I had heard about Evernote for a while, from various people on Twitter, but never really looked into it. Last week, I finally downloaded the android app for my phone and then later downloaded the desktop client. Evernote works by storing information for you in a virtual cloud and synchronizing the info on all your devices so that it's always available to you. This makes it easy to use your phone to record blips of information (called "notes"), no matter where you are, and then flesh out your ideas later once you're on your computer. My last blog post was actually created using this method. I like the fact that your "notes" can take various forms, including (text, picture, webpage, etc) and that they can all be easily organized into the proper "notebook". 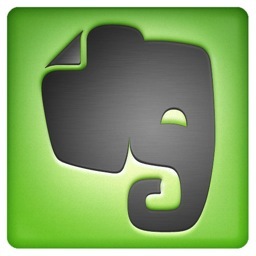 So far Evernote has been great! I think it's already helping me to be more productive and there are countless more ways to use it. If you have anything you want to keep track of, remember, store or organize, Evernote is a great tool.